What Does the Dance Program Offer? Dance is our newest program in Fine Arts at Calvary Christian High School, and students are already earning top marks in competitions and at festivals. 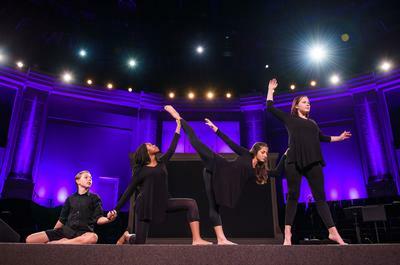 By learning expressive methods of storytelling through movement, students have the opportunity to enhance the worship experience during chapel in their time at Calvary Christian High School. With our focus on faith, our dance program is designed to bring stories of struggle and victory in Christ to life through movement. What Can Dance Do For Students? Dancers will develop self-esteem, technique, and creativity in this program, along with a passion and love for dance, storytelling, and worship. Our Storytelling Through Movement dancers also participate in the annual Dance Revolution Showcase and convention. 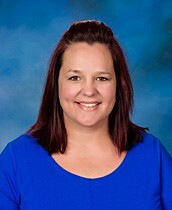 Our dance program is led by Mrs. Anne Marie Gaige. Mrs. Gaige has had a lifelong passion for professional dance and owns her own local studio. She works to involve a wide variety of different genres of dance into her classes, to create a well-rounded and versatile appreciation of expressive movement of all kinds. You can find more detailed information about Mrs. Gaige in the column to the right.